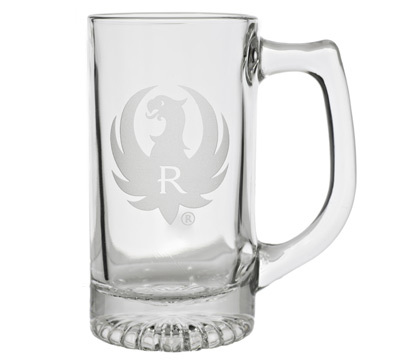 12 ounce glass stein features etched Ruger logo and a starburst bottom design. Measures 5.6" high. Made by Adirondak. Glass mug just fits a 12oz beer. Logo is etched into the glass, so I expect it will withstand the dishwasher. 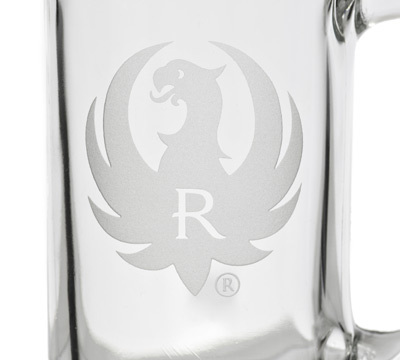 Has a nice design on the bottom of the glass as well. Very satisfied and will probably be getting more.